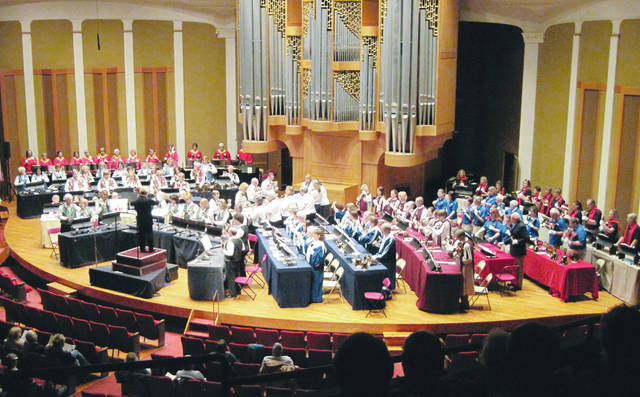 The annual Delaware Area Handbell Festival is scheduled for 7 p.m. on Sunday, Nov. 19 in Gray Chapel on the Ohio Wesleyan University campus. Handbell ensembles from ten Delaware, Sunbury, Waldo, and Lewis Center churches, plus the DelChimers from SourcePoint will perform separately and as an ensemble. Madeline Herzog will perform a solo handbell selection. Joseph Musser will play the organ. Featured as director of the combined groups will be clinician Johnny Steiner of Westerville. The ensemble selections are “A Mighty Fortress,” arranged by Linker/McFadden, “Hallelujah,” by Cohen arranged by Joel Raney, “ Midnight Clear,” arranged by Sondra Tucker, and “Angels We Have Heard on High,” arranged by Sandy Eithun. The public is invited to attend. Admission is free, but donations will be accepted. Gray Chapel is handicap accessible from the lower level off Henry Street. For information, contact Ruth Rabby at 740-369-3254.